A fresh, brightly colored salad is hard for me to resist. Both the vibrant hues and the variety of ingredients make me almost forget that it is in fact already October, ushering in cooler weather. 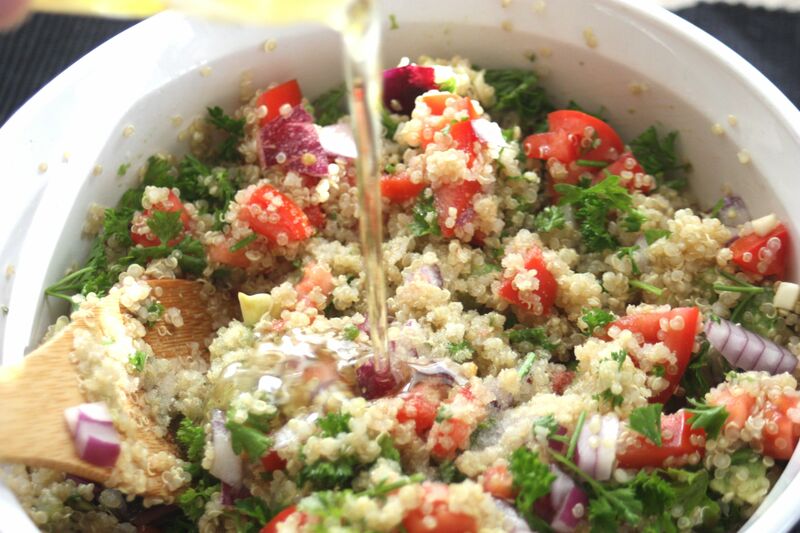 A favorite in my household is tabouleh, a dish originating from the Middle East, typically consisting of mint, tomatoes, and couscous or bulgur as the main ingredients. 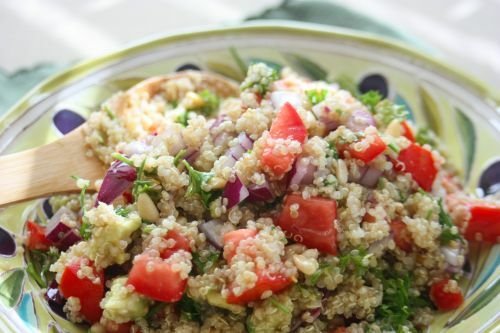 Today I’ve substituted quinoa for the couscous/bulgur to make a more gluten-free friendly version. 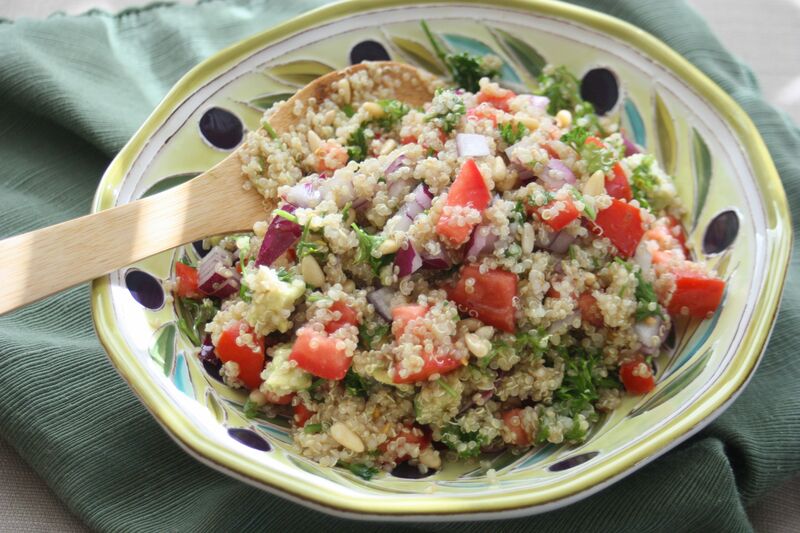 Not only is quinoa a gluten free grain, it is also a great option for meat-less meals. 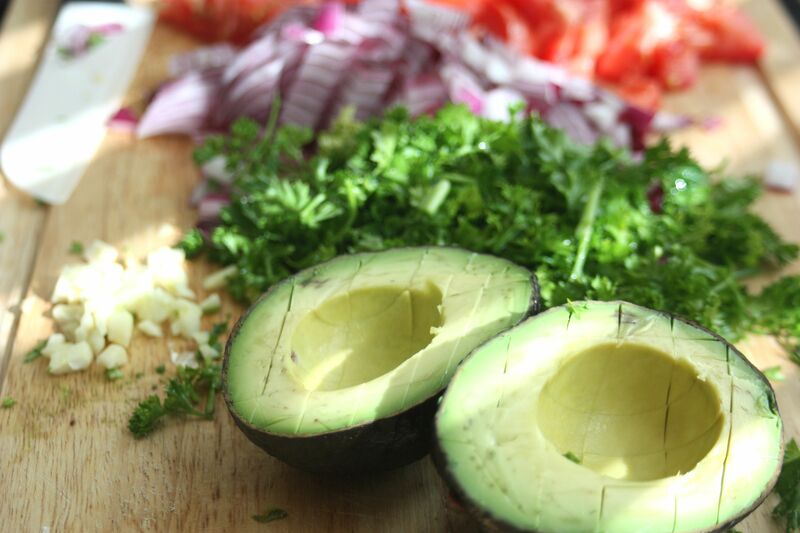 It is considered a total protein since it packs all eight of the essential amino acids. In addition, it has a high fiber content and is touted as possessing anti-inflammatory properties. Quinoa starts out as hard, smooth, tiny grains that after boiling become fluffy with a more translucent center and outer white ring. 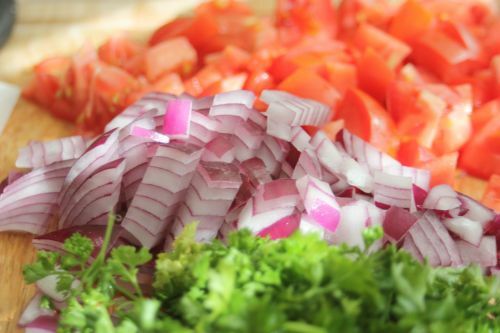 red onion, tomato, parsely, garlic, and pine nuts. and then you are ready to eat. 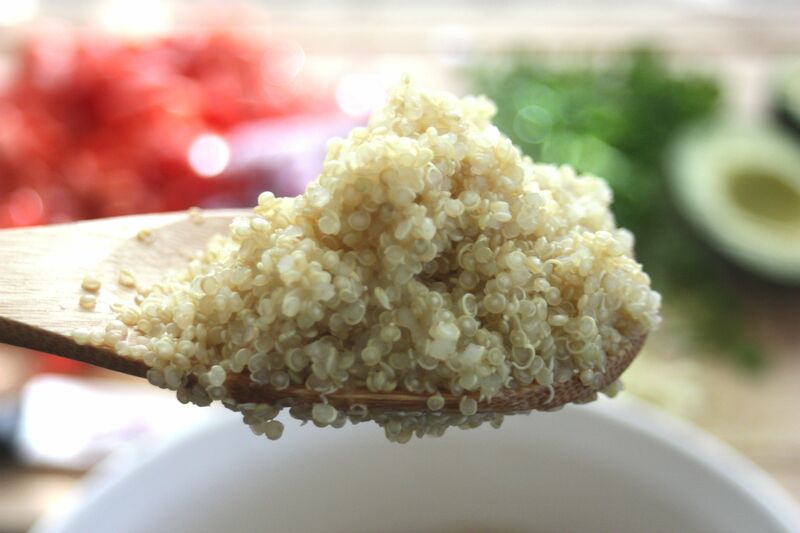 One other interesting fact about quinoa is that while it is grouped with cereals (like wheat) based on it’s typical use, it is actually a member of the spinach family. 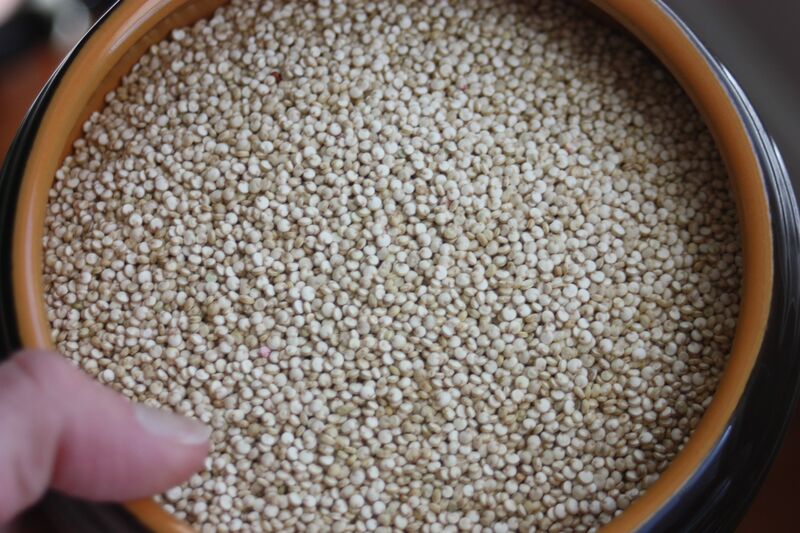 Maybe in a modern day “Popeye the Sailor Man” cartoon, quinoa would be his fuel of choice! Place water and quinoa in a large sauce pan and bring to a vigorous boil. Lower heat and simmer, covered, until quinoa is tender and chewy (white ring will apear on the outside of the puffed up grain), aproximately 15-20 minutes. Stir in the tomatoes, red onion, parsley, garlic, avocado, and pine nuts, then add the salt, oil and lemon juice and stir until combined.